Group lessons are offered for students who are at least six years old. Private lessons are available for students who are at least five (5) years old. 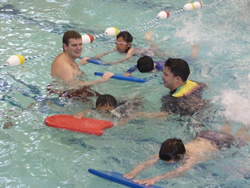 Evaluations for swim lessons or swim team are available on Saturdays: 4:00pm - 5:00pm. Students must be at least 6 years old. Classes are held on Saturday or Sunday. Includes 6 classes for 30 minutes each. All registration must be done in person at the St. Ignatius Pool office (1:00 pm - 4:00 pm). Cash or Checks only, Payable to: St. Ignatius or SI. No refunds once the session has begun. In the case that class is cancelled for a mechanical reason, refunds for each day will be given. Registration Begins on April 13 and April 14 at the Pool, in Person. $80 for 4 x 30 min classes (one week). Payment: Checks made out to St. Ignatius or cash. No credit cards accepted. Please refrain from having your young swimmers wear a Swim Shirt. These shirts do not keep young swimmers warm, they become very heavy and make it more difficult for the swimmer to lift their arms out of the water. There are no level 1 beginning classes offered on Sunday Classes for the Summer Session. Saturday Classes resume in September 2019. 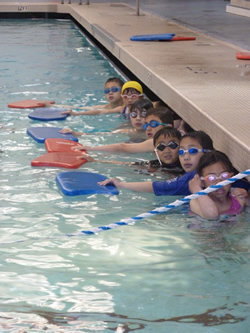 Swimmers currently enrolled in weekend classes will have priority registration over new students. Private Class fee $40 for 30 minutes. Semi Private (for 2 students) fee $50 for 30 minutes. Class times: Saturday: 1:30pm – 5pm & Sunday, 12pm -4pm. Children must be 5 years old for private lessons, No Diapers. A 48 hour cancel notice is required to receive full credit and Payment one week in advance is requested. Swimmers who have passed level 6 and would like to continue swimming to prepare for the Hammerhead Swim Team are welcome. Practice covers the 4 competitive strokes, starts & turns. The coaches have split the group into two groups and will inform you of your practice time, but it’s fine to attend either time if your schedule doesn’t allow for your assigned time. Cost: $70 per month payable to St. Ignatius at the beginning of each month. The Hammerhead Swim Team is a year-round competitive swim team offering high quality professional coaching and technique instruction for all ages and abilities. The goal is to provide every member an opportunity to improve swimming skills and achieve success at his or her level of ability, from novice to international competitor. Please visit www.fogswimming.org for more information. 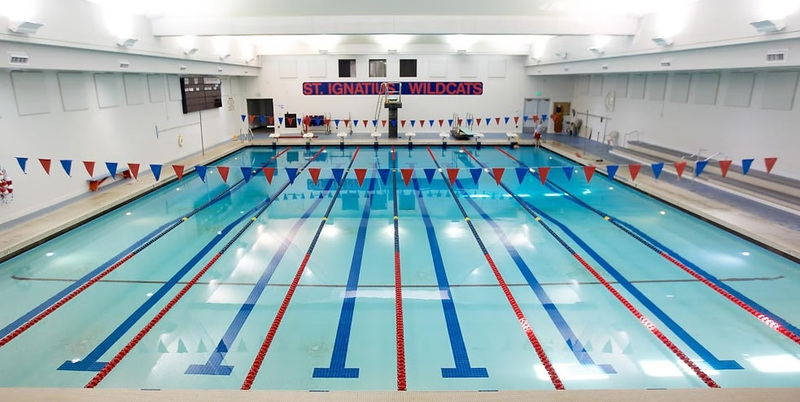 St Ignatius has discontinued general public access to the Herbst pool for daily lap swim. In the continuing effort to ensure the safety of our campus, we can no longer accommodate swim hours for the general public. We recommend Sava Pool at 19th Ave and Wawona as an alternative. For swimmers who have "Red or Yellow Swim Passes", please email ddavis@siprep.org for a refund.